It is often said that the eyes are the window to or mirror of the soul – Les yeux sont le miroir de l’âme. The idea behind the quote is that when you look into a person’s eyes you can see who their “soul” – who they really are beyond their physical being. I don’t know about seeing a person’s soul, but I do know that, if we are paying attention, in their eyes we can see their pain, their joy, their passion, their sorrow, their grief, their love, their caring and so much more. 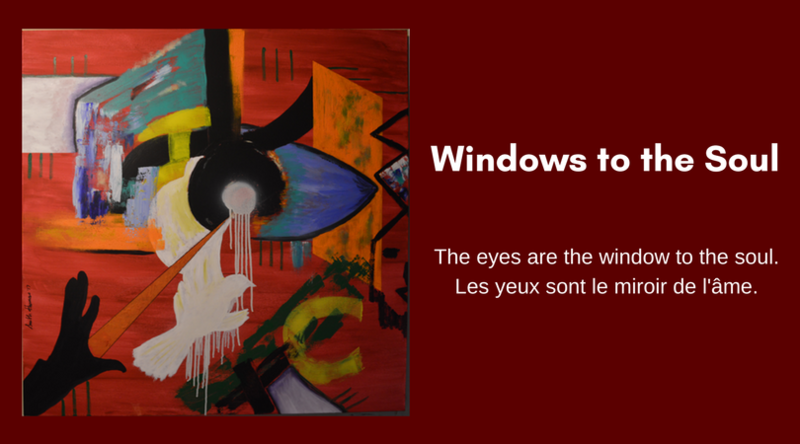 Windows to the Soul explores this age-old belief and depicts life’s experiences flowing into the eye where they will wait for someone observant enough to truly see them. See Windows to the Soul and other pieces from my 2018 Collection here. ← “Lost” Has Found a New Home – in South Africa! 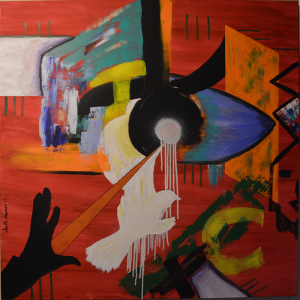 Solo Art Exhibition & Sale at Mohegan Sun Casino – Watch the Video for Details!